3 Ways to Rock Your Small Business Emails - Mischa Communications, Inc. Mischa Communications, Inc. 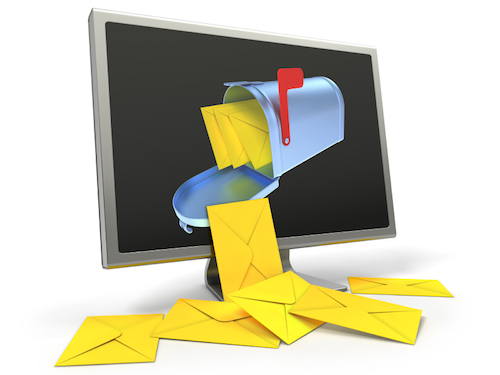 The average consumer receives about 416 commercial emails a month, but they’ll only open a small percentage of them. The rest go straight into the trash, or worse, get marked as spam and doom all future emails from their senders to an unseen folder for eternity. So how can you ensure that your carefully crafted email is seen and acted on? Unfortunately, there’s no surefire way to ensure a high open and conversion rate on your small business emails. But these email marking best practice can help give your message a fighting chance at being read. The exciting days of “You’ve got mail!” are over. Now, a lot of email is more of an annoyance than anything, and sorting through those 416 emails each month is a chore. To get some email ROI, you’re going to have to up your game. Every email you send out must have a purpose. Are you offering a limited-time discount? Hosting a special event? Making an appearance at a well-known conference or trade show? By all means, let your audience know. If, however, you’re emailing just to say “Hey, remember us?” you’re going to wind up in the junk pile, or with a lot of unsubscribes. Studies say that 65% of emails get opened on a mobile device, so your message needs to be optimized for viewing smartphones and tablets. What looks amazing on your laptop may look distinctly less amazing on a smaller screen. Send yourself a test email before each email and check that it looks good on all devices. (Most email marketing/distribution platforms give you the option to do this.) Nothing says “unprofessional” like a squished-together missive mass-mailed to every person who’s ever walked through your doors. To stay on the right side of the anti-spam law, your readers have to opt in to getting your small business emails. You cannot ask or expect them to opt out. Most people are willing to provide their email address in exchange for a discount, freebie or contest entry, so finding subscribers shouldn’t be a problem. To drum up readers, you should also include a sign-up field on your website and social media profiles. Email marketing isn’t an exact science, and what works for one small business won’t necessarily work for another. However, you can get people to open and read you small business emails by using these best practices and a little trial and error. And if you’re still struggling to find something that works, we’re always here to help!